Jungnok Park, 1971-2008, was a Korean student of outstanding intelligence and originality. He began his university education only after spending 10 years (1989-1999) as a Buddhist monk. He had a brilliant career in the Dept. of Philosophy at Seoul National University; his MA thesis was on Nirvana and Buddhist Ethics. In 2003 he came to Wolfson College, Oxford, on a scholarship from the Korea Foundation. Already proficient in Classical Chinese and fluent in reading Japanese, he soon learnt enough Sanskrit and Pali to use them for his research. This book is based on his Oxford D.Phil. thesis, which he completed early in 2008. One of the key changes was the Chinese reinterpretation of the concept of shen – originally an agent of thought which died with the body – into an eternal essence of human spirit, a soul. Though the notion of an imperishable soul was later disputed by Chinese Buddhist scholars the idea of a permanent agent of perception flourished in China. 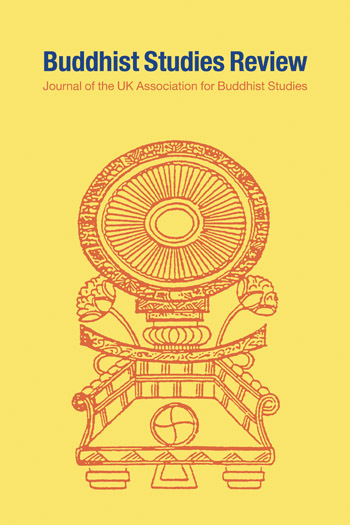 This historical analysis of the concept of self as it developed between Indian and Chinese Buddhism will be of interest to readers of Buddhist Philosophy as well as the History of Ideas. How Buddhism Acquired a Soul on the Way to China tells the story of the spread of Buddhist religious thinking and practice from India to China and how, along the way, a religion was changed. While Indian Buddhists had constructed their ideas of self by means of empiricism, anti-Brahmanism and analytic reasoning, Chinese Buddhists did so by means of non-analytic insights, utilising pre-established epistemology and cosmogony. Furthermore, many specific Buddhist ideas were transformed when exchanged from an Indian to a Chinese context, often through the work of translators concept-matching Buddhist and Daoist terms. One of the key changes was the Chinese reinterpretation of the concept of shen – originally an agent of thought which died with the body – into an eternal essence of human spirit, a soul. Though the notion of an imperishable soul was later disputed by Chinese Buddhist scholars the idea of a permanent agent of perception flourished in China. 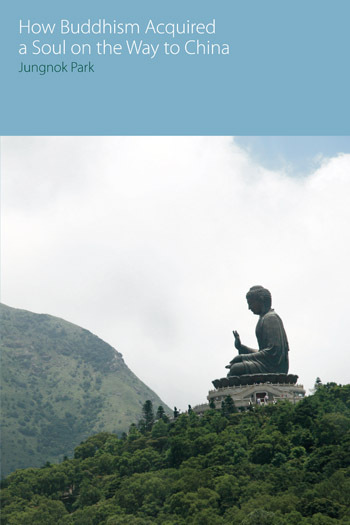 This historical analysis of the concept of self as it developed between Indian and Chinese Buddhism will be of interest to readers of Buddhist Philosophy as well as the History of Ideas. It is the aim of this chapter to provide insights into the linguistic and cultural circumstances in which the Buddhist translators in China could arbitrarily insert certain terms to indicate a permanent agent in saṃsāra . When I examine the development of the Chinese Buddhist ideas of self in Part II , I shall survey which renderings are used for particular Indian Buddhist terms and concepts, verify the attributions of translatorship, put the uses of relevant renderings in chronological order, investigate how the renderings were interpreted by the Chinese readers, and analyse the ontological, epistemological and soteriological features that constructed Buddhist ideas peculiar to China. For all of these tasks, the most basic attestation is the verification of translatorship. I will now briefly survey the development of the later Buddhist conceptions of self in India. Since Mahāyāna and non-Mahāyāna scriptures were introduced to China almost simultaneously, and Mahāyāna Buddhism became the mainstream in China from an early stage, it is essential to examine the later Buddhist conceptions of self, in order to understand how Chinese Buddhists came to form their own ideas of self. I cannot survey the whole development of later Buddhist ideas in detail, so I will focus on how the basic premises and principles that structured the early Buddhist conception of self were maintained, revised and abandoned by later Buddhists. In Part I, introducing the translation procedure and analysing the cultural characteristics of Chinese Buddhist translation, I illustrated the cultural atmosphere that allowed the Buddhist translators arbitrarily to insert their opinions in the body of canonical translations. The use of Chinese terms indicating an imperishable soul, such as hunpo 魂魄, shenshi 神識 and jingshen 精神, in Buddhist translations affords a typical example of arbitrary interpolations or adaptations. In this chapter, I aim to demonstrate how the indigenous Chinese ways of thinking influenced Buddhist translation in China, by exploring and analysing the adaptations and interpolations that reflect the idea of an imperishable soul. In this chapter, by surveying the interpolations and adaptations that reflect the idea of an imperishable soul, I aim to shed light on the chronological development of the Chinese idea of an imperishable soul at the canonical level. The following discussions are based on the chronological survey presented in the Appendix. In this final chapter, I aim to show that the idea of an imperishable soul became theorized in a more sophisticated way by Chinese Buddhists after the fifth century, while the expressions reflecting that idea started to disappear gradually in the works of the major translators from the time of Samghadeva and Kumārajīva, i.e., around the last decade of the fourth century and the first decade of the fifth century. All of its parts are useful to different specialists….indispensable for consultation as a reference book. This book will undoubtedly re-ignite debates about the fidelity of Chinese Buddhism to Early Buddhism, the place of the Chinese canon in the study of Buddhism, and the parameters, if any, by which Buddhism adapts to new contexts. 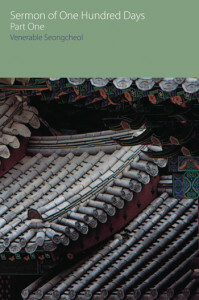 As Buddhism adapts to more and newer contexts in the twenty-first century, Park’s book is an enduring contribution not only to the scholarship on the sinification of Buddhism, but also to its immense adaptability. His death at a young age is a great loss to academia. Makes a valuable contribution to the field of Buddhist studies in detailing precisely how and why early Buddhist translators interpolated the notion of an imperishable soul, and how subsequent Chinese traditions elaborated this notion. Few anthropologists have the linguistic facility and the knowledge of several bodies of literature required to follow Park into the depths of translation and comparison which he attempts here. That is precisely why his work is so worthwhile.